In Cincinnati, Ohio a dentist’s office is sometimes seen as a painful and scary place. Endres Gateway Dentistry located at 9380 Montgomery Rd Ste 204 Cincinnati, Ohio 45242 tries to discourage that image with a friendly staff and qualified dentists. However, endodontic therapy, a dental procedure commonly known as a root canal, still carries a strong association with pain that sometimes keeps people from regularly visiting the dentist and tending optimally to their oral health. When a tooth becomes badly infected or decayed, a qualified dentist in Ohio can clean the inside of the tooth by removing the bacteria, soft tissue (called pulp), decayed nerve tissue, and any debris that may be causing the tooth infection from the inside of the tooth. Your dentist will then seal the tooth to prevent further decay and finish by applying a crown or filling. This is the process and purpose of a root canal. The process can be completed, typically, in just a few visits to your Ohio dental practice. In many cases, a root canal procedure is a better option than removing the infected tooth since it allows you to keep your natural tooth. Though a root canal can be intimidating or scary, educating yourself and talking to your local dentist in the Cincinnati, Ohio area is important and can relieve much of your anxiety. Root canals are often not painful, and for many people the pain of the infection experienced beforehand is worse than any pain that might be experienced during the procedure. If you are looking for a trusted and experienced dentist in the Cincinnati, we invite you to give Endres Gateway Dentistry a call at 513-791-8880 to schedule a consultation. Today’s Endres Gateway Dentistry post addresses one of the most feared dental procedures: the infamous root canal. If you are told that you need a root canal, don’t panic. Your dentist recommends this procedure when it is better for your tooth than the alternatives. If, after a thorough evaluation, Doctor Endres determines that a tooth is going to need a root canal, Doctor Endres will explain the procedure and costs that are involved. 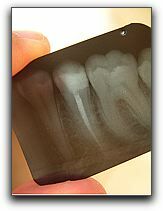 Root canals are completed to save an infected tooth. If not treated, abscesses and complete tooth loss may occur. Root canals have the reputation of being painful, but this is not the case anymore. There are several effective pain management methods available today at Endres Gateway Dentistry. From local painkillers and numbing agents to oral sedation, we will make sure you are comfortable during the procedure. Once the infected tissue is removed, your dentist will focus on helping the oral site heal, which may require another visit. If you have a tooth that is bothering you, call Doctor Endres now at 513-791-8880 for an appointment. If you are unfamiliar with our services at Endres Gateway Dentistry, be sure to visit our website at https://www.endresdentistry.com to get more information. Doctor Eleanor Endres opened Endres Gateway Dentistry in 2007 here in Cincinnati. Doctor Endres is well-known throughout the state of Ohio as a provider of superior dental care, including cosmetic dentistry, orthodontics, and sedation dentistry. In addition to general dentistry, we provide distinctive cosmetic dental services; everything from tooth whitening to complete smile makeovers.